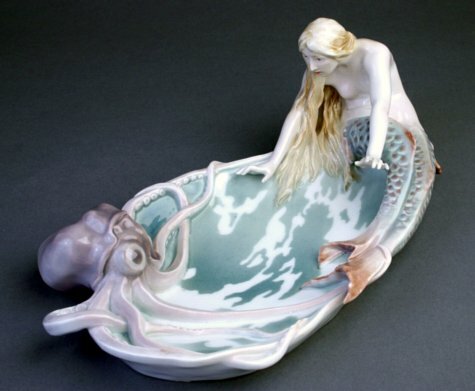 Description: Meissen dish with a mermaid surprised by an octopus emerging from the sea. First modelled by Konrad Hentschel in 1900. Mark Info: Crossed swords in under glaze blue. Incised model number S 163. Impressed assembler's number 143.